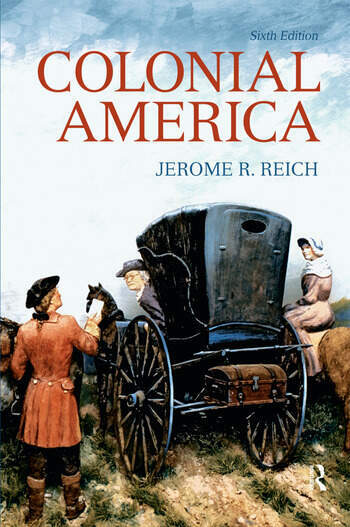 This brief, up-to-date examination of American colonial history draws connections between the colonial period and American life today by including formerly neglected areas of social and cultural history and the role of minorities (African-Americans, Native-Americans, women, and laboring classes). It summarizes and synthesizes recent studies and integrates them with earlier research. Key topics: European Backgrounds. The Native Americans. The Spanish Empire in America. The Portuguese, French, and Dutch Empires in America. The Background of English Colonization. The Tobacco Colonies: Virginia and Maryland. The New England Colonies. The Completion of Colonization. Seventeenth-Century Revolts and Eighteenth-Century Stabilization. Colonial Government. African-Americans in the English Colonies. Immigration. Colonial Agriculture. Colonial Commerce. Colonial Industry. Money and Social Status. The Colonial Town. The Colonial Family. Religion in Colonial America. Education in Colonial America. Language and Literature. Colonial Arts and Sciences. Everyday Life in Colonial America. The Second Hundred Years' War. The Road to Revolution. The Revolutionary War. Governments for a New Nation. Market: For anyone interested in Colonial History, American Revolution, or Early American Social History. 1. European Backgrounds. 2. The Native Americans. 3. The Spanish Empire in America. 4. The Portuguese, French, and Dutch Empires in America. 5. The Background of English Colonization. 6. The Tobacco Colonies: Virginia and Maryland. 7. The New England Colonies. 8. The Completion of Colonization. 9. Seventeenth-Century Revolts and Eighteenth-Century Stabilization. 10. Colonial Government. 11. African-Americans in the English Colonies. 12. Immigration. 13. Colonial Agriculture. 14. Colonial Commerce. 15. Colonial Industry. 16. Money and Social Status. 17. The Colonial Town. 18. The Colonial Family. 19. Religion in Colonial America. 20. Education in Colonial America. 21. Language and Literature. 22. Colonial Arts and Sciences. 23. Everyday Life in Colonial America. 24. The Second Hundred Years' War. 25. The Road to Revolution.26. The Revolutionary War. 27. Governments for a New Nation. Index. in American life. His writings include "Leisler's Rebellion: A Study of Democracy in Colonial New York,"
"Coodes's Rebellion in Maryland," the "Dorr War: A Substudy of Jacksonian Democracy,"
and is the author of several standard text books in American history.